New loans: were provided to 53 women in September 2017 bringing the total number of loans to 400. Record number of women provided with business training: 257 new women were provided with business training in September 2017. We are proud of this achievement as the newly trained women are applying business principles every day as they operate their new businesses. Also, skills acquired during business training are a permanent asset that can be used in diverse ways to improve quality of life. 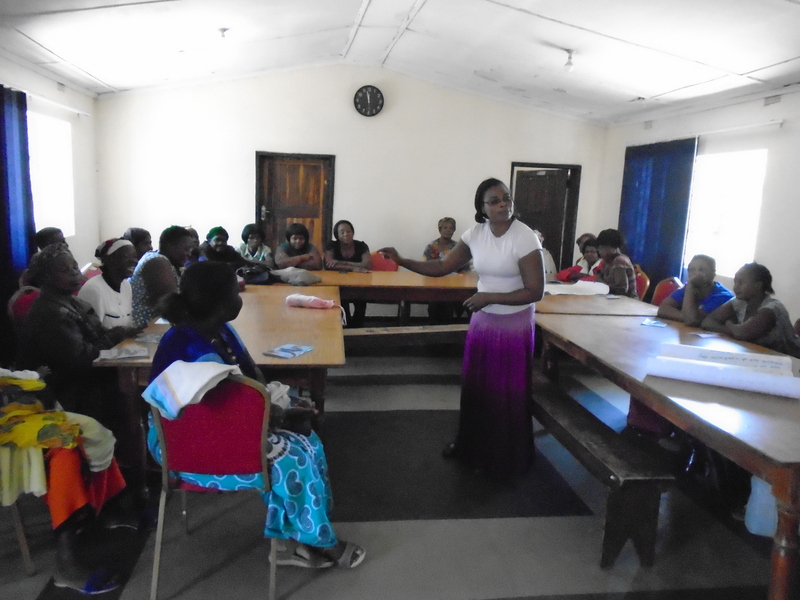 The business training was participative, hands-on and in the local language as many women do not know to read or write and most have never been to school. Weekly Meetings: All women on our program meet weekly to make repayments, learn from other business owners, and discuss issues of importance to them such as HIV prevention and care, importance of school, and challenges faced in running their businesses. Ongoing business monitoring: All businesses are visited on site by the loans officer to provide business advice on display, encourage maintenance of accounts, book keeping, inventory management etc. 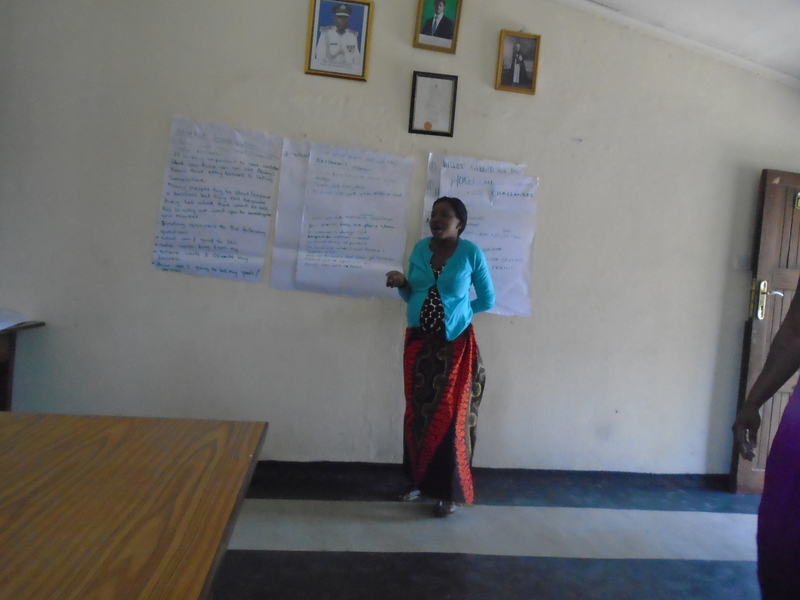 Refresher training: was provided to a group of 50 loan recipients in October 2017. This training encourages loan recipients to work hard, share successes/challenges, and learn from peers. Mentoring club: A few women have formed a club to mentor new loans recipients, women whose businesses may be struggling, and women facing challenges in running their businesses. They mentor and encourage the women to continue to work hard and to expand their businesses. Loan repayment rates are between 90-92% despite difficult circumstances faced by most women. Our Goals: The goal of our micro loans program is to: (i) equip women with the tools they need to run a successful business, (ii) create conditions for women to be socially empowered, and (iii) enable women to gather enough capital and savings so they continue to operate a profitable business even after graduating from the program. Loan Activities: Loan recipients are provided with business training and a small loan to start a business. Subsequently, they attend weekly meetings, refresher training, and business mentoring sessions. In addition, loan officers conduct regular site visits to offer advice on products, display, inventory management and record keeping. These activities help lead to business success and, in turn, family sustainability. Typical Beneficiaries: Direct beneficiaries are women and children as they have been disproportionately impacted by the HIV and AIDS epidemic in Africa. Most women have no marketable skills, have never been to school, and do not know how to read or write. They range in age from 35 to 67 years, and most are single moms/grandmothers caring for multiple orphaned children/grandchildren. At present, we have 400 active loans that benefit more than 2,800 people directly as on average each loan recipient cares for seven people out of which 4-5 are children. To sum: The community is stronger as families: are earning an income, are more knowledgeable about HIV prevention, improving in health, and children are attending school. The women are economically and socially empowered and on the path to self-reliance. Overall, this program continues to make a significant and sustained impact on the lives of thousands of community residents. We could not have achieved any of our goals without your support and caring.